What is Toyota Mobile Specialist (TMS)? It’s a different car buying experience. Providing customers with transparent pricing, excellent support, attention to their needs, and shorter operations for developing a cohesive and impressive customer service experience. Toyota Mobile Specialist is more in the role of a consultant rather than a seller. Customers gets an experience that is peer-to-peer, where seller treat customers as equal who work with them to find the best option. Customers are allowed to take the lead and take cues from their family situation, budget, and what they are looking for overall. Customers are provided with more transparent pricing process that informs them of the market context. Example: No-haggle pricing determined by the fair market value of the car. Flexibility and speed in their dealings. Customers gets a much shorter and simpler F&I process where either pre-approval is handled with TMS before they enter the dealership or a process where their information can be managed digitally. Using an iPad that has pricing, mileage, vehicle history, fueling data, and future information on every car in and outside of the showroom can give customers that “consultant” experience they are seeking. Same can be used to compare competitor pricing and local limited time offers for specific vehicles. The goal is to provide as much information as possible for customers to make an informed decision. Mobile/Email booked appointments where Toyota Specialist meet customers where they are to facilitate the relationship between dealer and customers better. 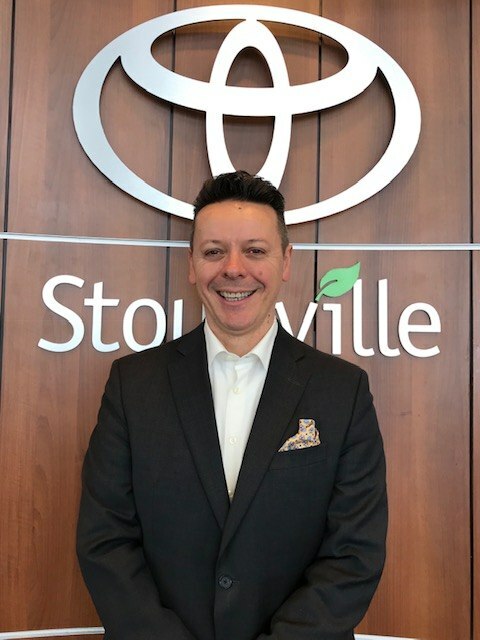 Try it Now ... Call/Text 647-330-0308 or email: lazar@stouffvilletoyota.ca and book your appointment.